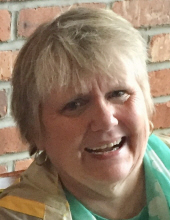 Jane Dugan-Yantosca, age 66, of North Haven, passed away on January 20, 2019 at Yale New Haven Hospital. Jane was born in Athol, Massachusetts on April 20, 1952, a daughter of the late Bertram & Lois (Ewell) Dugan. Jane is survived by her loving husband of 40 years, Tony Yantosca, and their three children, daughter Kathleen Dugan Yantosca (Francesco Cartiera) of Wallingford, and sons Casey Dugan Yantosca & his wife Katherine of New Canaan and Kelsey Dugan Yantosca of North Haven; granddaughter Autumn Yantosca; grandson Jaxson Yantosca; sister Sharon Smith of Athol, MA; brothers David Dugan of Jaffrey, NH and Paul Guimond of Royalston, MA, and many cousins, nieces & nephews. Proud of her roots, Jane grew up in Athol, MA before moving to Boston for college and young adult life. She graduated from Leland Powers School. There, she was employed at the New England Home for Little Wanderers. In 1988 Jane and Tony relocated to North Haven. She was employed at HART United Inc. for 20 years, where she worked as a Direct Care Counselor to those with special needs. Jane also taught catechism at Our Lady of Mt. Carmel Church and was heavily involved with Connecticut Special Olympics. Family & friends may attend her Mass of Christian Burial on Saturday, January 26th at 9:30 a.m. at Our Lady of Mt. Carmel Church, 2819 Whitney Ave., Hamden. Interment will be private. In lieu of flowers, contributions in Jane's memory may be made to Athol High School, 2363 Main St., Athol, MA 01331 or to North Haven High School, 221 Elm St., North Haven, CT 06473. Arrangements are in care of BEECHER & BENNETT FUNERAL HOME, 2300 Whitney Ave., Hamden. "Email Address" would like to share the life celebration of Jane Dugan-Yantosca. Click on the "link" to go to share a favorite memory or leave a condolence message for the family.